This workshop is an opportunity to have fun with your children and grand-children. 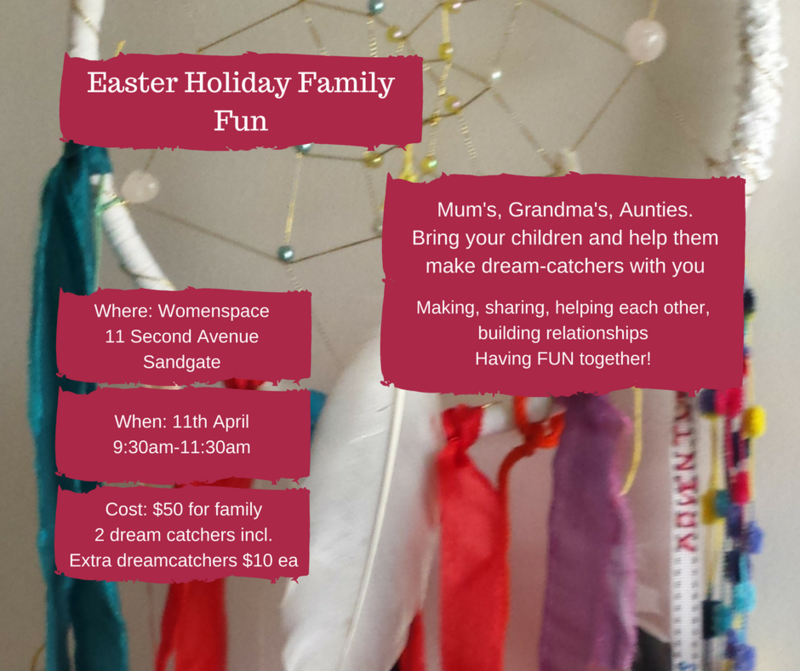 We will have fun making dream catchers together as we help and encourage one another. Two dream catchers are included, and if you want more, they are $10 each. Materials will be provided. If you would like to bring beads, material, ribbon that has sentimental value, please do! Womenspace is a very special place to be holding this workshop. While it is an women only space, boys of primary school age are welcome.